I bought this beautiful bed last winter. 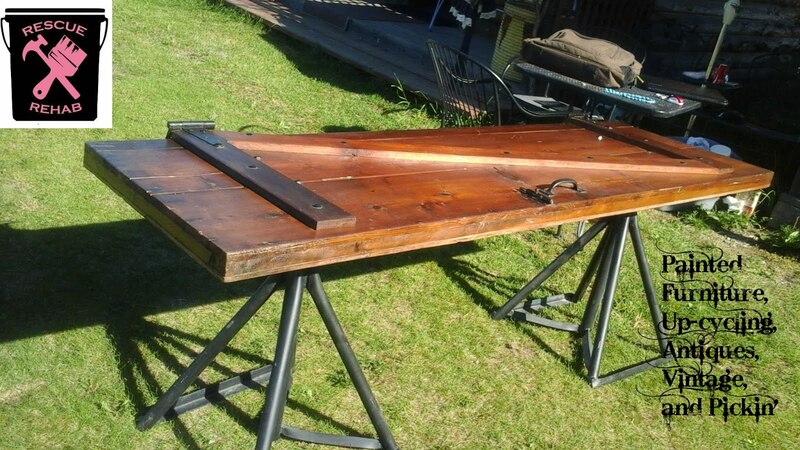 The man I got it from was over 60 and he said it had been his bed as a child, and he did not know the history before that. 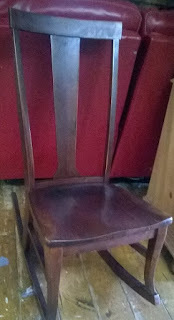 I felt that rather than refinish it, I would clean, repair, and refresh the wood. I used some Danish Oil in Walnut and then waxed it. It is a standard twin size. 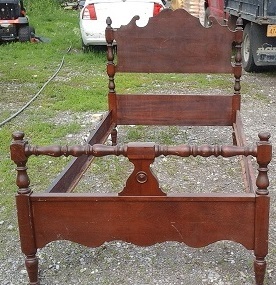 It is missing the little knob on the top of the one side of the headboard, but it is still a very pretty piece. It would be beautiful in a guest room covered in quilts!! I have a rocking chair in the cabin that would look wonderful sitting next to it. Thanks Tammy, oh, what a treasure to have!! 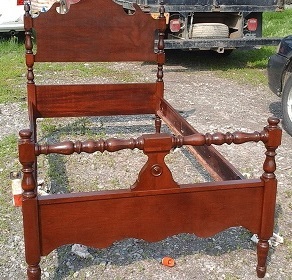 You are so lucky....I remember when my parents took a load of antique furniture to the dump.....I guess people then were sick of living with the old stuff, it makes me so sad.